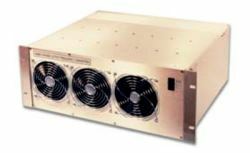 Rugged, heavy duty and industrial grade 1-phase to 3-phase pure sine wave AC/AC phase converters, with floating outputs. Pure sine wave exactly duplicates mains power. Isolated outputs so you can connect in a "Y" configuration or left as three individual isolated outputs. Ultra quiet with no electrical interference. Thermostatically controlled fan comes on only when needed. Fully Isolated from the input. *Warranty depends on installation within good engineering practice.